Thank you to Carolyn Brooks-Burton for her many years of dedicated service! For more information, please contact Catherine Szerszen at msctsram15@sbcglobal.net. CONGRATULATIONS to KRYSTYNA S. FARLEY, Ms Connecticut Senior America 2016! As her friend author Ann Knope tells it, "Krystyna Farley is an amazing woman. I am so glad I have had the good fortune to meet her and to get to know her. As Ms. Connecticut 2016 she fully represents the best of the confident, loving, feminine spirit. I first met Krystyna when we worked together as Election Officials in New Britain, CT. When I heard her remarkable story I could not ignore it. Krystyna was born in far eastern Poland in 1925 during that quiet period between two World Wars. By 1939, when Krystyna was turning 14 years old, her beautiful world fell apart. Stalin invaded her homeland, murdered hundreds of thousands, and deported millions of Poles to merciless labor camps in Russia. Through it all Krystyna never gave up, and has lived to tell her tale, a cautionary tale for all of us to learn from. Krystyna knows what a blessing America is, what it means to be enslaved, and what it means to be free. She courageously shares her story with anyone who will listen. I was fortunate enough to help her write a memoir in 2013 titled So Far from Home. We spent many hours together as she told of her family�s harrowing experiences surviving Stalin�s and Hitler�s destruction of Europe. Her journey took her from a small military settlement called Orlopol in Poland, to a dreadful labor camp in the Ural Mountains of Russia, to slave labor in Uzbekistan, to a camp for Polish orphans in Iran. At the age of 17 she joined the Polish Army in Exile as a nurse�s aide tending the wounded at the Battle of Monte Casino in Italy. Through it all, thanks to her wonderful parents, and her faith in God, Krystyna used her wits, her hard working nature, and her love of music, singing, and drama to survive. As the War drew to a close Krystyna married, danced for a queen, became a widow, resettled in America, and worked incredibly hard, raising four beautiful children. Krystyna is a co-founder and past President of the Polish Cultural Club of Hartford, CT. She is actively involved in teaching and preserving Polish culture. She has taught Polish dance and her dance troupes have competed in dance competitions all over the world. Poland and America have much in common when it comes to governance. The Polish Constitution since the 1700�s has always had much in common with America�s enduring document. Krystyna wants everyone to know what happened to Poland and to her family so we will be vigilant and never forget what happens when people do not pay attention to the world around them. Krystyna resides in New Britain, CT, where she met and fell in love with her current husband Ed Farley. 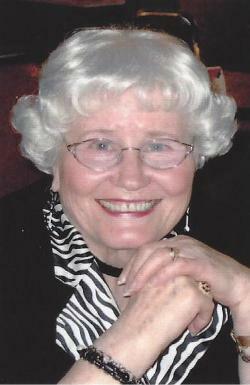 She is surrounded by her children, many grandchildren, and great-grandchildren. She still works as an Election Official and wants every American to appreciate this country and exercise the right to vote! Let Krystyna tell you her story. You will never forget it. It will inspire you, too."